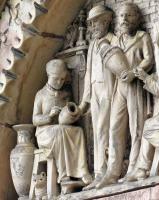 Henry Doulton was the owner of the famous pottery firm of Doulton’s of Lambeth. 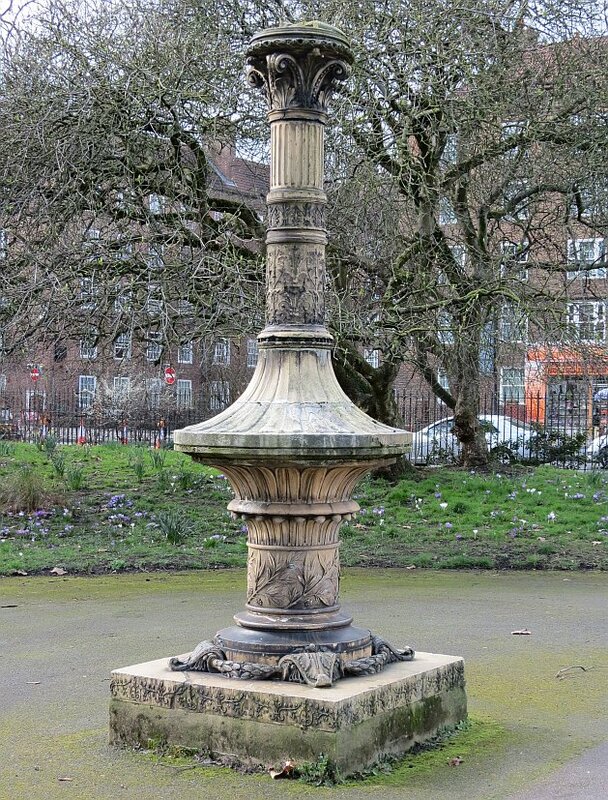 The company had been founded in nearby Vauxhall by his father, John Doulton, and his partner John Watts, in 1815, then moved to Lambeth, but had not really distinguished itself when Henry took it over in 1846. 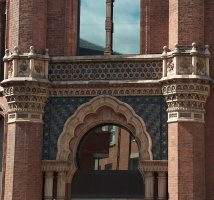 And he started with highly successful but rather utilitarian wares such as stoneware drainpipes and chimneys, before turning to art pottery in 1866. 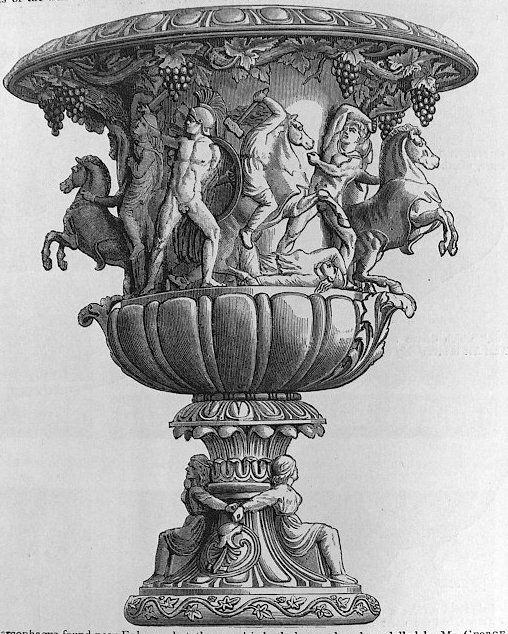 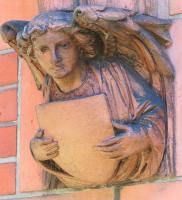 He made an arrangement with the adjacent Lambeth School of Art, run by John Charles Sparkes, to take large numbers of their students, who were mostly young women who in Victorian times had little prospect of independent artistic success, and welcomed the immediate employment Doulton could offer. 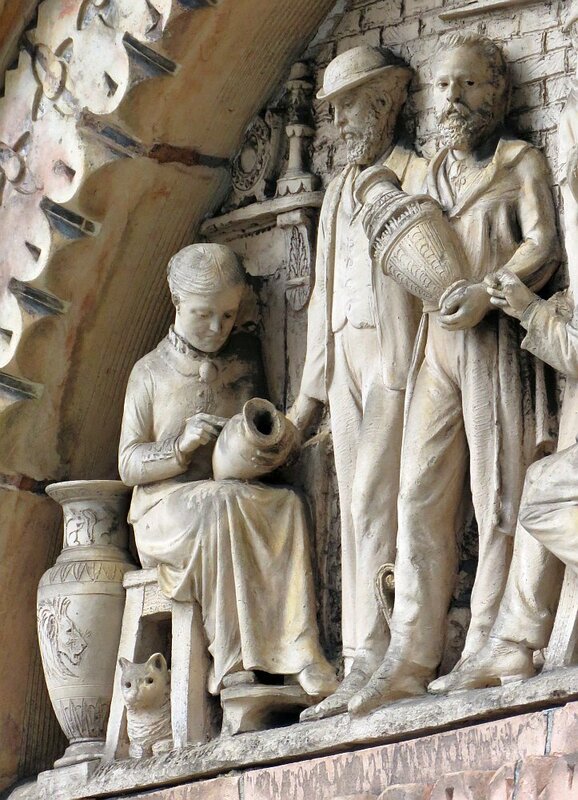 By the end of the 1860s, the Lambeth School curriculum expressly taught pottery manufacturing with Doulton’s and other local pottery firms in mind. 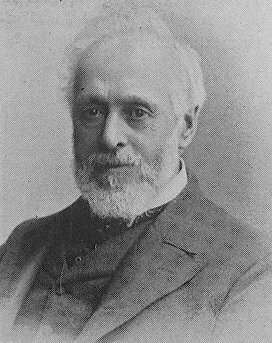 Henry Doulton’s innovations included new ranges of stoneware and faience, and later tiles, but also his approach to those who worked for him. 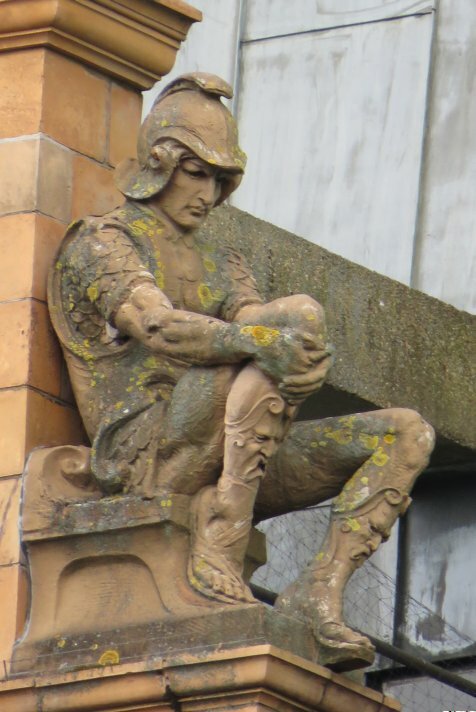 Rather than making them anonymous workers who had to conform to rigid factory standards, Doulton treated them as artists with a level of freedom of design, and encouraged them to sign their work so it had an individuality. 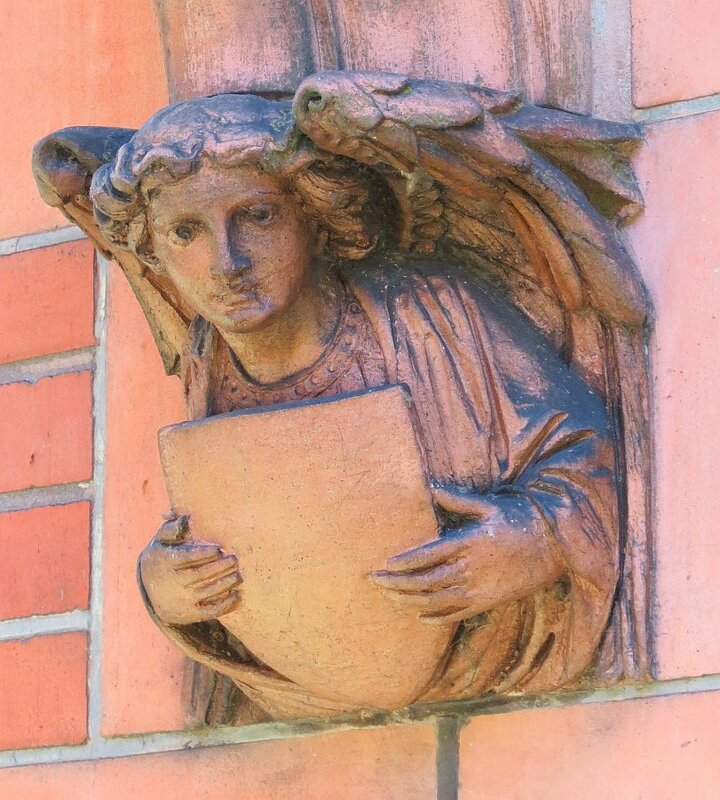 Thus some of his students achieved recognition in their own right, including the Barlow sisters for their sgraffito work, Esther Lewis for contemporary scenic views, and Miss L Watt for tile pictures. The men included John Broad and George Tinworth, and two of the Martin Brothers. 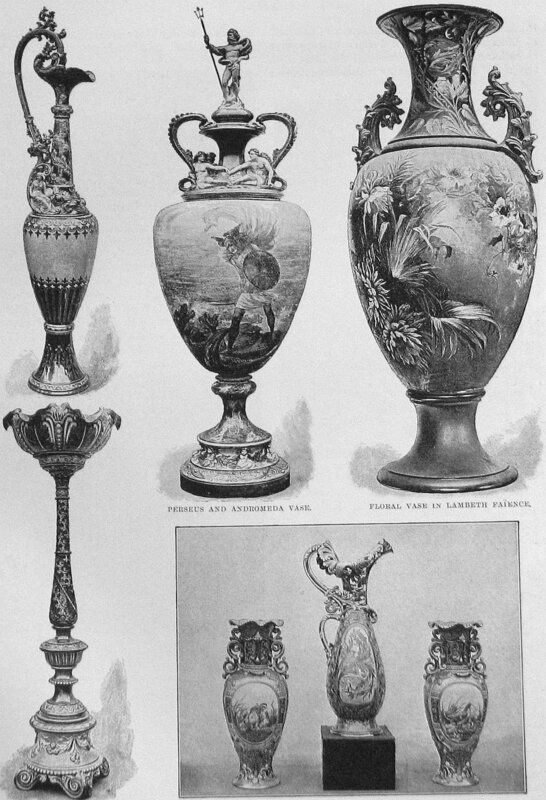 Pottery as such is not a theme of these pages, but of course there are various examples of Doulton ware in the museums, including the large collection in the Victoria and Albert Museum, and the several pieces in the Henry Willett Collection in the Brighton Museum and Art Gallery. 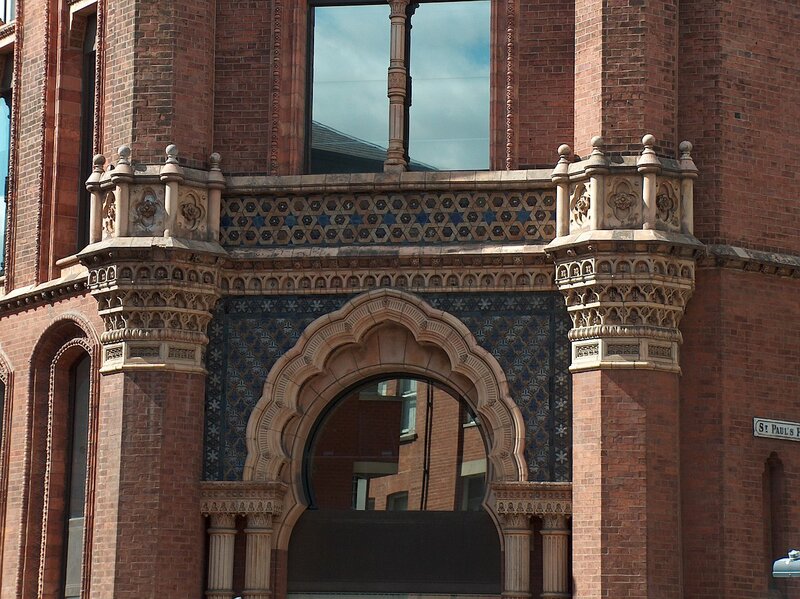 Of more interest here are the architectural quality tiles produced by Doulton’s, which clad whole buildings. I don’t think the company achieved the sheer volume of several of the northern art tile companies, such as Burmantofts of Leeds, but there are many examples of buildings clad in their tiles. 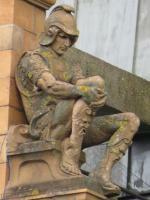 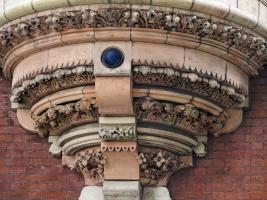 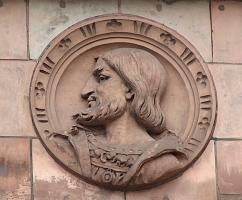 Examples of Doulton architectural tile in Leeds, Leicester, Birmingham and Salford . 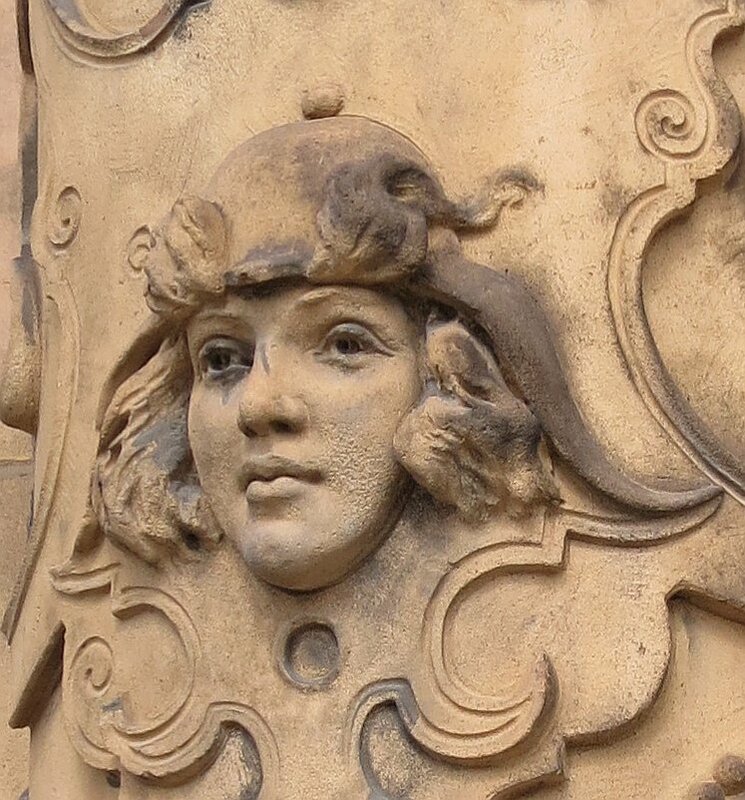 In Birmingham is the New Arcade (see this page), where the whole façade and domes are clad in Doulton terra cotta, and also the Queen’s College off Paradise Circus. 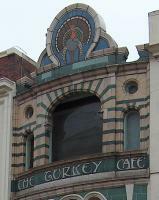 In Leicester the Turkey Café and Coronation building should be seen, and in Salford, the former Education Office, (see this page), with decorative panels by W.J. 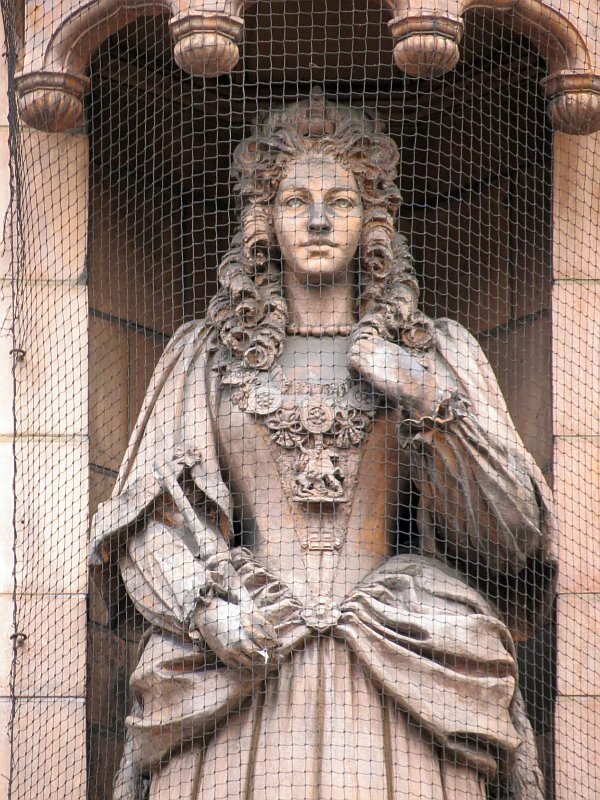 Neatby no less. 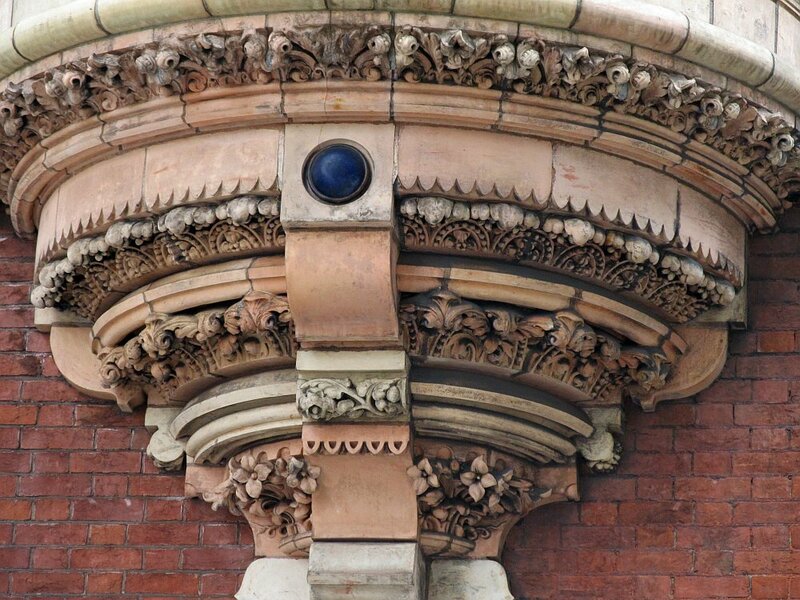 In Leeds, St Paul’s House Warehouse and Clothcutting Works, adjacent to Park Square and on St Paul’s Street, has Italianate and Moorish features and terra cotta pillars all in Doulton tilework. Remnant of Doulton Fountain, Kennington, Russell Hotel and detail of a queen, and Savoy figures . 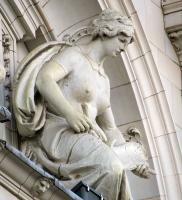 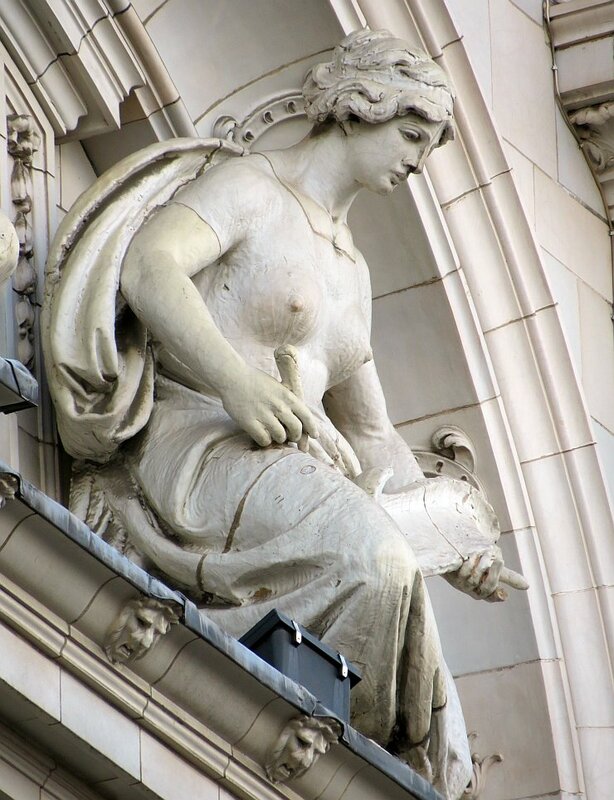 In London, along Wigmore Street is the old Debenhams Building, completely clad in Doulton’s white Carrara tiles, a grand Edwardian baroque pile with figure sculpture (see this page). 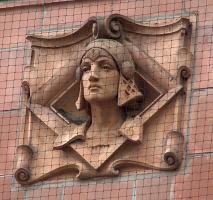 The Savoy Hotel on the Strand has one block in creamy-coloured Carrara Ware tiles. 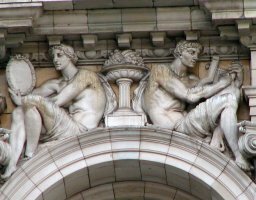 On Piccadilly by Albermarle Street is a reddish terra cotta Doulton building, the former Albemarle Hotel, with medallions after coins in the British Museum. 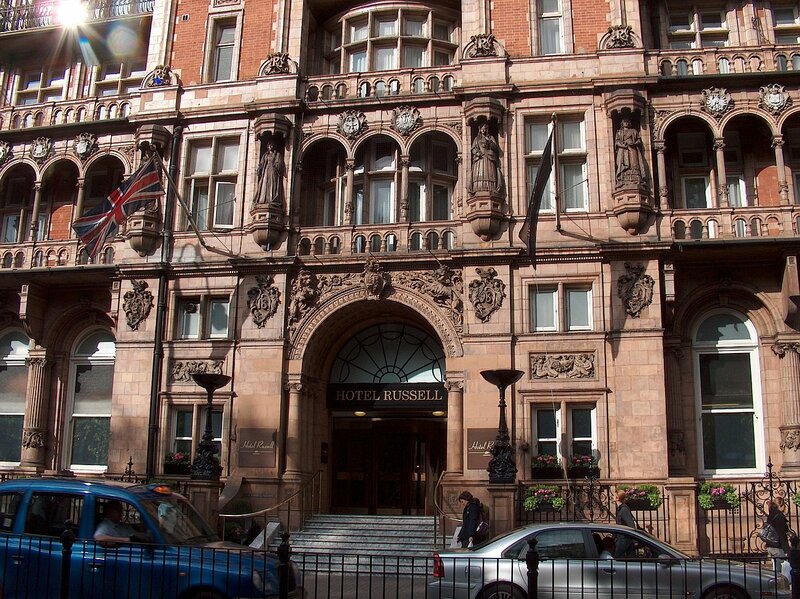 Most spectacular of all, however, is the Russell Hotel in Russell Square, where Doulton employed W.J.Neatby again, and Charles H. Fehr for the figure sculpture. 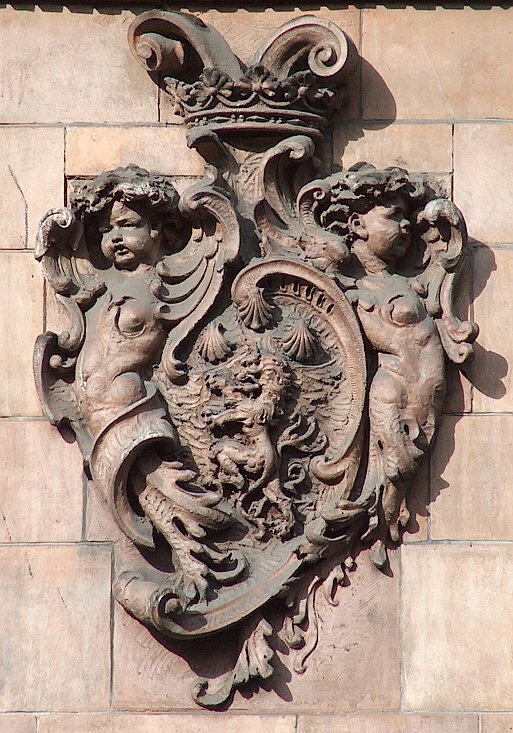 Part of the Lambeth factory of Doulton survives, just south of the River Thames by Lambeth Bridge, along Black Prince Road – see this page. 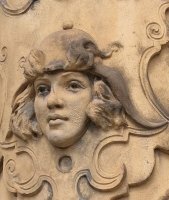 The surviving building is a nicely made but not particularly decorated piece, except for the one corner, of remarkable ornateness, which was the entrance to the showroom, I think. A splendid thing. 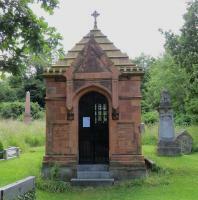 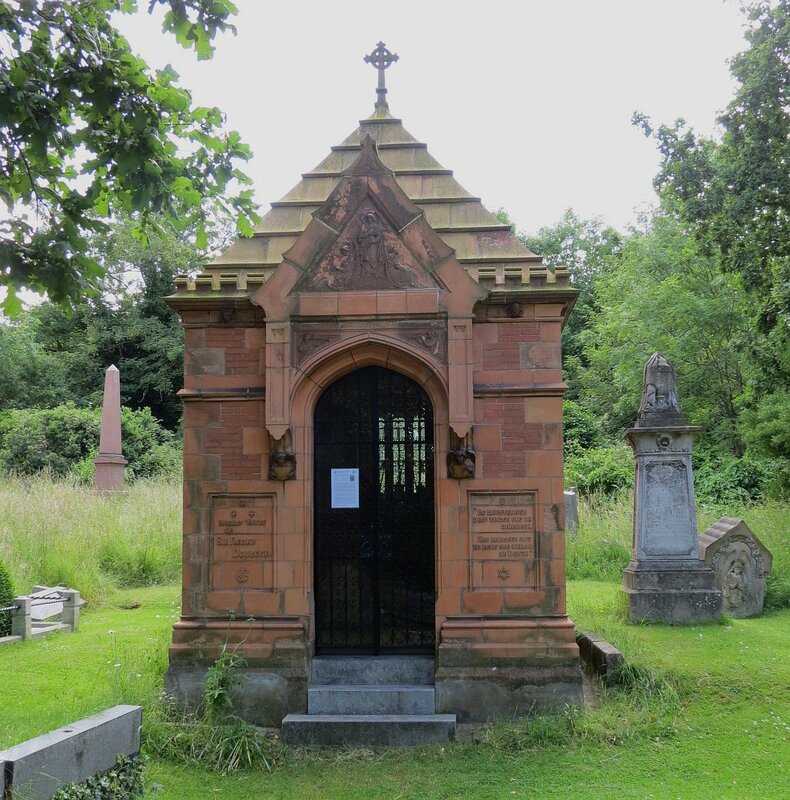 And the final little building to mention, if building is quite the right term, is the little mausoleum to Henry Doulton, his wife Sarah, who predeceased him in 1888, and family, in West Norwood Cemetery. 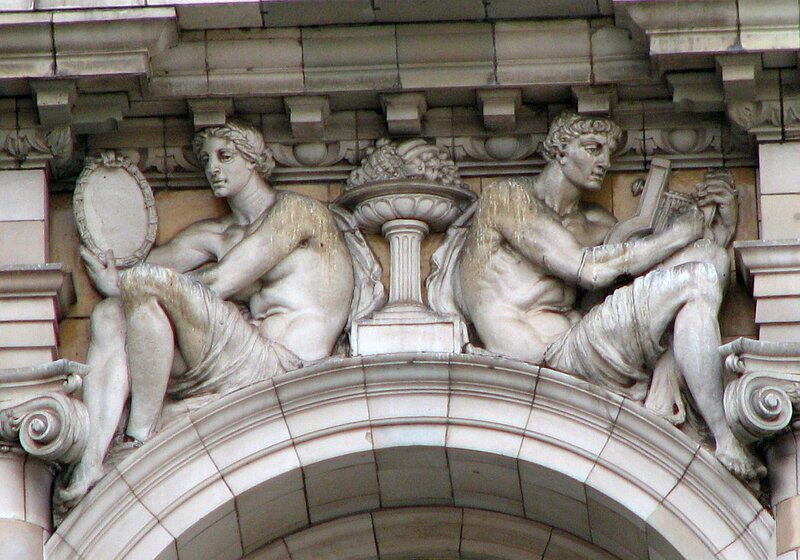 A small terra cotta affair, seemingly much more fragile than the more usual white limestone mausoleums, it includes two angel-corbels, a relief panel and small spandrels with angels, and various small details including little heads of cardinals or saints.